Last year I watched with my wife, Fanny, a movie I had borrowed from the Edmonton City Library. 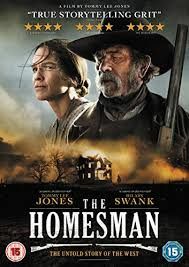 It was titled “The Homesman” and was produced by Tommy Lee Jones in 2014. We watched both the movie and all the optional documentation. What amazed me, the most, was the effort made to present an authentic look at life during the latter part of the 1800’s and very early 1900’s. I felt drawn into a time and place in which my great grandmother and grandmother had actually lived and survived. 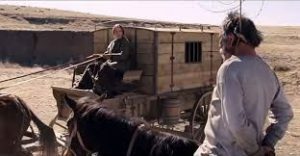 The influence of the film was profound in its portrayal of just how hard and tragic life could be for women who were homesteaders on the American and Canadian prairies during the last of the 1800’s and the start of the 1900’s. It was the period of time when our Humbke ancestors came from Germany, a land of machinery and culture at the start of industrialization and urbanization, to the virgin unbroken land of desolation, animals and the wilderness of the unbroken prairies of America. South Dakota, where they first homesteaded in 1879, was such a place. In 1902 they started all over by claiming three homesteads in Alberta, Canada. The patriarch, my Great Grandfather had been killed and now my Great Grandmother, two sons and four daughter with their spouses mother sons and daughtersWest of Wetaskiwin the Humbke, Callies, George, Fontaine, and Harris Grandmothers and Great Grandmothers face such a life in the early 1900’s, but they all survived and we are the result of their tenacity and support for each other. In my research I have yet to run across instances of insanity caused by the isolation and hardships our grandmothers and grandmothers must of suffered and can only attribute that to the support of a quickly growing family. They relied on each other during a time when guns and horses were an absolute necessity to survive. They certainly lived in the types of houses shown in the movie, wore the clothes and yes, women did plow land. 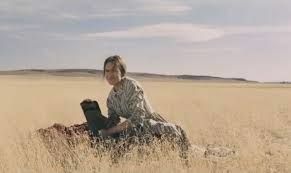 Even a women like Mary Bee Cuddy who was of unbelievable personal strength went crazy as a result of “The brutal and desperate lot of women in frontier life”. 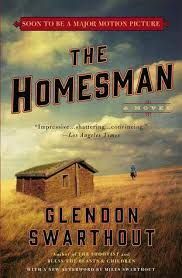 For those who enjoy reading, the novel “The Homesman” written by Glendon Swarthout is the basis of the movie. Please be sure and let me know your thoughts about the movie and book. For me it was a very emotional experience and I became much more appreciative of and closer to Great GrandMother, Luise Humbke (1843-1930); GrandMa, Mary Humbke (1868-1944); and my Mom, Marvelin Humbke (1914-2006) as a result. I am beginning to realize just how much they went through, as pioneers and homesteaders, to survive and make their children’s life possible. Enjoying the Humbke blog , always finding out something new. Thanks Jay. I send out 100 emails and got your reply, so I know I am getting thru. Comments and replies seem to be working now. Hopefully I have this set up so you can now make comments. I will be replying to all comments.